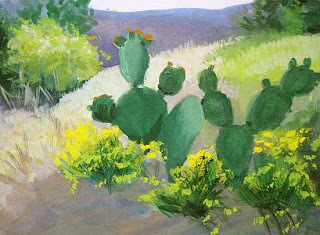 I like the odd rhythms of cactus, especially when they're dancing on a gentle slope like this one. I had fun with the light and shadow, too, as well as the hard and soft edges. Painted in gouache on Bristol vellum paper, 2.5" x 3.5". 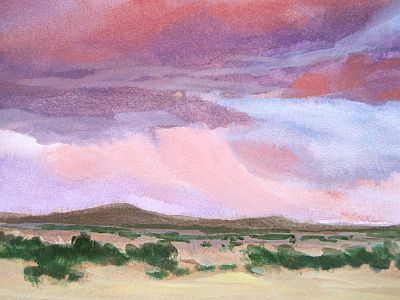 At sunset a summer shower becomes a curtain of peachy pink!